Cherry "T" is a tisane tea in all of the most amazing ways. 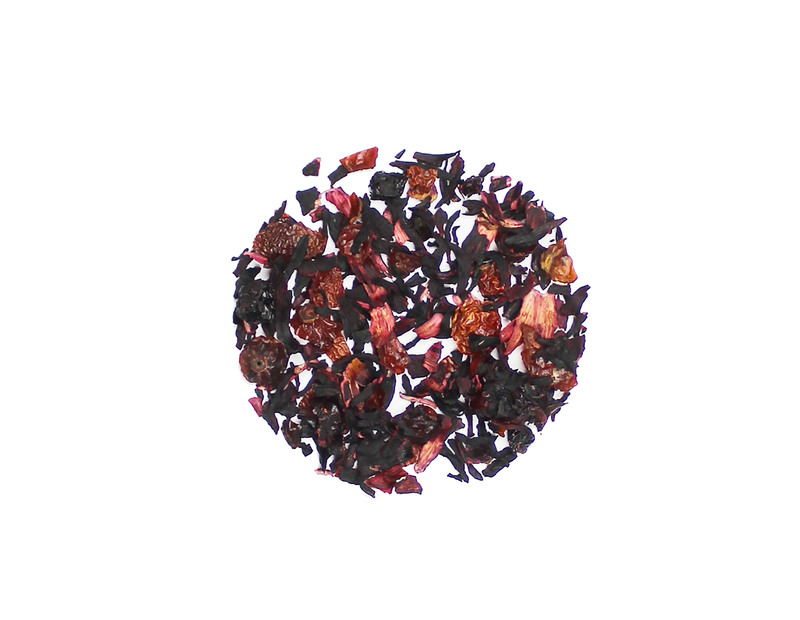 Lacking any of the common herbal bases like rooibos or honeybush, Cherry "T" is all rich dark berry flavor and aromatic rosehips. Like many tisane teas you can use this as a strong starting point for brewing up your own concoction by adding a stick of cinnamon to the cup when you serve this tea. You can also add a dollop of homemade whipped cream to bring a lovely mellowing effect to this tea. However you serve Cherry "T" Herbal, it will be a wonderfully unique experience.